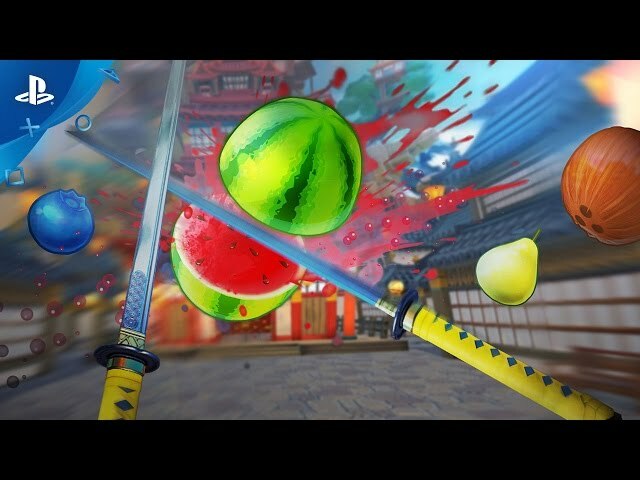 Fruit Ninja (game, 2010). A video game by Big Ant Studios/Halfbrick Studios. Developed by Halfbrick Studios Pty Ltd, TBC. Official Trailer. Fruit Ninja is a video game by Halfbrick Studios and Big Ant Studios, developed by Halfbrick Studios Pty Ltd and TBC. 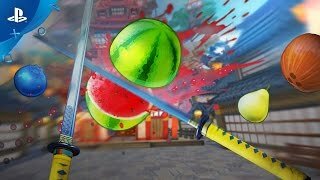 Fruit Ninja VR - Gameplay Trailer | PS VR. Fruit Ninja was scheduled to be released by Big Ant Studios and Halfbrick Studios on April 20, 2010, on April 21, 2010, on July 14, 2010, on September 17, 2010, on December 22, 2010, on March 29, 2011, on June 10, 2011, on August 10, 2011, on June 7, 2012, on August 13, 2013, on March 18, 2015 and on July 7, 2016. This video game is available for the following platforms: iOS, Android, Windows Phone, Symbian, Bada, Xbox 360 (XBLA), Facebook, PlayStation Vita and Xbox One.